Businesses, profits and popularity of brands, goods and service grow and increase as patronage by customers or consumers or users of such grows. Therefore, every producer and seller of goods and services in a competing or deregulated environment binds itself to self imposed customer satisfaction policies and procedures .This is in line with the adage that says THE CUSTOMER IS KING.â€ This spans the fields of politics and governance in acceptable democracy, private and public sector enterprises where power of monopoly is an anathema and even religious groupings and marriages/family settings .Many businesses spend billions of dollars on advertisements just to generate customer line for continuous patronage hence appreciable revenues and profits and growth. Political parties and politicians would like heavy voters output and win elections so they spend on campaigns to gain or stay in power. 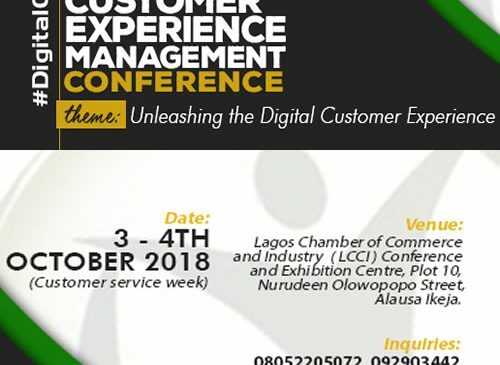 As we are gathered here various business and pro-customer organizations have begun their CUSTOMER SERVICE WEEK. 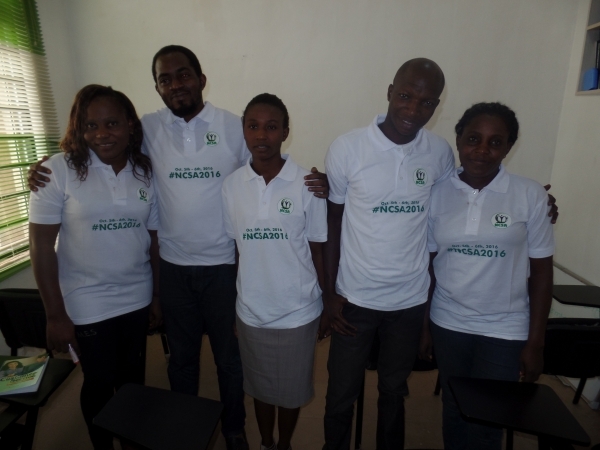 The activities are aimed at sensitizing customers towards accepting that the businesses care. Given the mass of people yet to be served, and the lack of information on what to expect from goods and services providers in the Nigerian economy a little good easily swings customers even if it is their right. Customer education and enforceable rights are in urgent need. 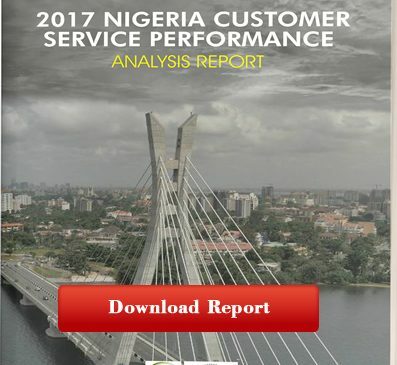 In Nigeria over 70% of customers are under served, and are therefore gullible and subject to abuse being without many alternatives to choose from. Furthermore, must customers are unenlightened even though they are sufficiently literate Instances here include online transactions. This happens to be one complex area that even most enlightened consumers would still find difficult to easily understand and utilize. They do not know their rights neither do they have rights as it were. A majority of Nigerians who patronize others for goods, services, contracts or political patronage and even religious places, are largely ignorant, all assuming and are manipulated by leaders, companies and governments. Prior to start of the deregulation in the mid to late 1980s, government was the major owner of national resources, producer of goods and services and distributor of what was produced. Monopolies reigned under the then military control and regulated economy and political system. Both the state and its business cronies subjected the citizens to slavery, choiceless life, fear, and poor quality life. High cost reigned and no competition situation held sway. Profits and revenues skyrocketed without customer satisfaction, hence no customer or consumer service policies existed. For instance, Banking, Petroleum refining (NNPC) and products distribution, Electricity, Telecommunications (NITEL), Education, Agricultural production, fertilizer imports and distribution, agricultural imports procurement and distribution etc were all under government control till the embracing of PPP and private investments. You could never seek redress from the courts for any poor services. Most companies and businesses never cared to have customers or loose them. Thus the lack of customer or consumer service policies and, absence of legal/ legislative framework and no procedures were designed to move towards a better society. However light began to appear in the horizon in the late 80s, with the introduction of deregulation, systematic privatization and commercialization which is still on- going in 2014, and market forces being allowed to take root. 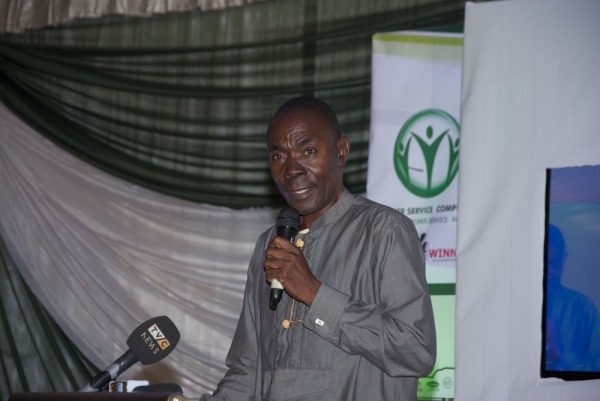 Government has introduced Consumer Protection Council, SERVICOM, and agencies like NAFDAC, SON, NERECOM, and NEITI and a host of others in attempt to protect customers and consumers from being cheated through sharp practices of providers. The telecommunication sector now has customer service units, also a public complaints commission, human rights commission, among several others are now working hard to ensure customer satisfaction. The private sector is just showing up. The deregulation has put in the hands of individuals and corporate citizens goods and services. But given the share size of the population and the under serviced consumers and customers are yet to be valued except in a few cases. Research and Development a critical factor in customer marketing studies to date are done with lepers treatment. i. Leader or company or agency that takes responsibility for self image and company development. ii. A leader/ company/ agency that believes and adopt moral standard. iii. A business that believes in adding value to their customers. v. A business that is out to solve problems, make profits and bequeath posterity with excellence. i. Be fair and just with possibility of product and services withdrawal for remedy and indemnity. Customer gets fully paid back and products / goods errors are corrected. We saw what the American auto industry has been up to in the past five or so years. Several millions of cars have been withdrawn for failing to meet up with customers satisfaction. But those importing same brands of cars into Nigeria saw no reason to follow suit. A situation of no choice . ii. Seek quality, customer psychological/emotional balance, health, protection and welfare in a pareto manner. For the foregoing and customer policies to be in place the following are sine quanon. Enabling macro economics and social political environments. Enforceable legislature by customers and regulatory agencies. Internal good customer service policies and programs (I.e. self imposed through quality, moral and value adding by responsible organizations that are in at least oligopolistic competition). Corporate public relations responsibility (plowing back to society and customers). It is important that not only must information not be false and misleading, but it must also be understandable and relevant to consumer’s need. Management consultant Nanmark Austin once said, when she looked under the bed in her room at one of her choice hotels, she was surprised to find a card. It said yes, we clean under here too she did not remember other things but what the card said. We think of that as good customer service, and when we are clients or guests we expect to realize it. As drivers/leaders of businesses, we need to listen to what our people value. The Consumer Protection Council (CPC) was established by Act No. 66 of 1992 to provide holistic protection of the consumer in line with the United Nations Guidelines for Consumer Protection of 1985. The CPC is an agency of the Federal Government of Nigeria, supervised by the Federal Ministry of Trade and Investment. It is the apex consumer protection agency of the Federal Government of Nigeria. Though it was established by an Act in 1992, it commenced operations only in 1999, when its institutional framework was put in place. This was the first formal step towards giving the Nigerian consumer hope of redress when wronged by a product or service he chose to use.And has been assigned extensive functions and powers. Section 2 of the Decree 30 See Cap C.25 LFN 2004. (j) To encourage the adoption of appropriate measures to ensure that products are safe for either intended purpose or normally safe for use. (6) Ban the sale, distribution or advertisement of products which do not comply with safety or health regulations. In exercise of the powers conferred upon it by section 31 of the Consumer Protection (Products and Services Monitoring and Registration) Regulations 2005 and of all other powers enabling it in that the Consumer Protection Council with the approval of the Honourable Minister of Commerce could register Every product manufactured, imported, advertised, sold or distributed in Nigeria shall be registered with the Council in accordance with the provisions of these Regulations, with less strictness to products already registered by NAFDAC or any other regulatory agency of the Federal Government of Nigeria and gives the process for registration as well as fees and penalty for any non compliance to her laws. Other efforts of the council as seen in the THISDAY Newspaper of 01.11.2002. Were The Consumer Protection Council organized World Consumer day which serves to educate the public , which is on this day the 11th of October 2014 and we hope to ever continue and improve. This however appears to serve only a minute fraction of people in Abuja. This organisation was set up under Decree No.56 of 1974 as amended by Decree No.32 of 1984 and subsequently re-enacted as Cap.412 of the 1990 Laws of the Federation as an agency committed to consumer service in Nigeria. it has implemented stringent and clear guidelines to inform exporters and assure Nigerian consumers that imported products comply with applicable regulations. For example, the SON/CPC has a market desk that is fully functional at the Alaba International market. The market desk provides buyers the opportunity to authenticate the quality and genuineness of products purchased from any shop within the market especially the electronic section basic aim of the enactment is to establish an umbrella organization for the standardization of methods and products in Nigerian industries and to provide for other matters relating thereto. Section 2 of the Act creates a Governing Council for the organization while Section 3 endows it with far reaching functions. It is empowered:to advertise the federal government and their policies for quality control and standards. To approve standards of metrology, materials, commodity, structures and process for certification of products in industries throughout Nigeria. It is to administer these functions by carrying out test on products, investigations, verifying measuring equipments used by producers and sellers, prepare and distribute standard samples also to establish and maintain test labs. However the enactment, as amended, forms the legal framework put in place by the federal government to enhance the actualization of consumer protection in Nigeria. Without exaggeration, if the elaborate provisions of the law put in place are religiously observed or applied it will certainly go a long way in enhancing the position of the consumer. The certification mark of the organization, for example, if attains the security and respect designed for it, could enhance the quality of goods thrust into the Nigerian consumer market. It will, accordingly, avert the injuries, damages or hazards presently being experienced by the Nigerian consumer. In recent times, all kinds of fake, inferior and substandard goods, ranging from electronic products, automobile spare parts, to food and drugs are daily being thrown into the consumer market, many of them bearing no trademark or forged trademark and not meeting the mandatory standards. This became more prevalent since the invasion of the Nigerian consumer market by products from the Asian Tigers, notably, Taiwan, South Korea, Singapore, Hong Kong, and Indonesia. That such goods still find their way into the consumer market on a daily basis is a testimony of the ineffectiveness of the Standards Organisation of Nigeria. Although the organisation has, in recent times, witnessed expansion and wider coverage and more public awareness of its activities, its impact on the consumer industry remains negligible. It has been bedeviled by lack of adequate tools including qualified staff to enhance its performance. The fact that the average Nigerian consumer remains largely illiterate or uninformed complicates the matter and militates against the realization of the laudable policies and objectives of the law. Another agency in Nigeria that its functions are tailored towards protecting the consumer is the National Agency for Food and Drug Administration and Control (NAFDAC). NAFDAC was established by Decree No. 15 of 1993 to carry out among other things, all the control functions of the former FDAC while the service functions remain within the ministry. The name of the NAFDAC reflects its functions very adequately which is to regulate and control the importation, exportation, manufacturing, advertisement, distribution, sale and use of food, drugs, cosmetics, medical devices, bottled water and chemicals. It is important to note here that NAFDAC has been very effective in the past and if its potential and activities are properly harnessed, it would certainly be crucial in protecting consumers in Nigeria. The importance of food and drugs to a man and animal is necessary in order to grow and sustain life. For these food and drugs to be acceptable, the drug must not be deleterious to the body but should rather produce positive effect.This does not exclude cosmetics, which should have no harmful effect on the body to which they are applied. It is the duty of all government to protect the health of the citizens, and in Nigeria this is the responsibility of the Federal Ministry of Health. obey existing regulations both for healthy living and knowledge of certain sanctions or default individual manufacturers and the Pharmaceutical Manufacturers Group of Nigeria PMG-MAN Nigerian pharmaceutical industries witnessed and reported a 35% increase in turnover drug production in 2002. The Executive Secretary of PMG-MAN attributed improved performance of the sector to 100% import inspection policy and the new impetus from NAFDAC, which has seriously curtailed dumping. Glaxo Smith Kline recorded a 77% growth in sales during the same period. The company’s General Manager for West Africa attributed this tremendous increase to NAFDAC living up to its responsibilities of enforcing strict compliance to product regulation. NAFDAC activities, therefore, reinforced the confidence of investors as well as customer/consumers in the pharmaceutical industry. as evidenced by the lifting of the ban on Made in Nigeriaâ€ drugs by the Ghanaian authorities. The gradual upgrading of the Agency’s laboratories to international standards yielded fruits in the form of international accreditation. NAFDAC’s pesticide residue laboratory, with the support of the IAEA, was upgraded to check on residues of pesticides used in agricultural processes for raw materials intended for the food industry. On February 2005, NAFDAC commissioned an ultra modern mycotoxin laboratory to ensure that food products meet all required standard.. This will help improve the reputation of Nigeria as a reliable supplier of good quality food product to the global market. NAFDAC seafood laboratories have European Union (EU) accreditation for Fish and Shrimp Export, while the Central Vaccine Control Laboratory is recognized by the World Health Organization (WHO) as the best in the West African Sub-Region. The Pesticide Residue, Pesticide Formulation, and Mycotoxin Laboratories are affiliated with the International Atomic Energy Agency (IAEA) while the Vitamin Analysis Laboratory is affiliated with the United Nations Children’s Fund (UNICEF). CUSTOMS: Pre-Shipment Inspection of Exports/Imports of Goods/Enforcement of Product Export Standardization/Export Free Zone in Nigeria. The legal regime in Nigeria also provides for the inspection of goods in Nigeria prior to their shipment to a place in Nigeria with a view to ensuring their quality, quantity and price comparison. The Pre-shipment Inspection of Exports Act like the Pre-shipment Inspection of imports Act, which equally renders liable for all imported goods to be subjected to mandatory pre-shipment inspection, provide for issuance of clean reports of findings and export/duty reports. They both provide for penalties for unlawful exportation and importation in violation of the laws. and to ensure the prohibition of import and export of goods from the zones, grant licences,prohibit retail trade, storage of ammunitions and explosives within the zones, regulate work permits, provide incentives, and ensure the supervision and coordination of the work of all law enforcement and para-military bodies in the zones for a safer and more secured environment. The term consumer education refers to the process of exposing people to the knowledge about their rights and duties as well as skills needed by individuals, groups and institutions to be able to prioritize their needs, minimize wastes, maximize opportunities for purchasing and utilizing goods and services. Consumer education is also about enabling citizens to adapt to personal, environmental, economic, social and technological changes, and be able to take rational decisions and act efficiently in the market place. Unlike what is obtainable in Nigeria, Air Canada was ordered to pay $12,000 to a customer who was refused service in French This can only happen in Canada not really. Canada has laws that give both English and French equal status which compels federal institutions to offer services in both. Air Canada, a privatized, once Crown Corporation, retained its language obligations when it went private. So when Michel Thibodeau, a fluently bilingual Ottawa citizen couldn’t order a 7-up in his language of choice, he decided to sue. Man sues Hilton Hotels for being charged $.75 for USA Today At first I thought this story was an Onion article. I laughed at the title only to later find out that the story is actually true. In fact, it’s the inspiration for this article. Rodney Harmon, of Sacramento County was staying at the Hilton Garden Inn of the Sonoma County Airport when, in the morning, he found a USA Today at his doorstep. Not interested, he ignored the paper only to later find out he would be charged for it anyways because he did not specifically opt out from receiving the paper. So he’s suing them. The fact is, the act of filing a suit will bring into light a very fundamental customer service flaw. Deceitful practices such as opting customers in to additional services without their explicit knowledge is just bad business. It makes customers feel nickel and dimed, and question their trust in a brand’s core services. Dell was sued for bad customer service 2007 was a bad year for Dell. And most of it can be rooted to their Award winning sales and support and failure to deliver on the promise. In fact, it’s that claim that got them into the most trouble. adequate. A customer of an Ohio fitness club chain Urban Active recently filed a class action suit for failing to resolve billing disputes. Terry Troutman alleges that the company was billing him for late fees even though his monthly dues were automatically billed to his credit card. And he’s not alone. Mr. Troutman’s attorney told the press that the fitness center resolved a single claim with a refund, but has failed to remedy the final two. Coby DeVary, CEO of Urban Active all but admits that they could not timely handle all of the claims and states that “We’ve realigned personnel, added staff in our corporate headquarters to meet and exceed our customers’ expectations,” A simple billing glitch was likely the root cause of the problem, but instead of dealing with it head on, Urban Active chose to be more passive about resolving it. The following are examples of how a company’s limitations or carelessness in the area of customer service is in large part to blame for being sued. CONSUMER: According to the Encarta Dictionary a Consumer is a buyer of goods and services and someone who consumes something by eating it, drinking it, or using it up. According TO sec 31 . The Consumer Protection (Products and Services Monitoring and Registration) Regulations 2005. Product According to The Consumer Protection (Products and Services Monitoring and Registration) Regulations 2005.
means any manufactured goods, creation, merchandise, produce, item for consumption, imported, distributed, advertised for sale and sold in Nigeria and shall include services or any business, act or performance of an intangible nature that does work or caters for consumers, but does not make goods. SERVICE: According to the Oxford Advanced Learners Dictionary 7th edition. A system that provides something that the public needs, organized by the government or a private company. What is consumer service all about globally: logically and as a global truth it is expected that one selling a good or service does so as reasonable as possible to meet the reasonably desired need of the buyer/ultimate consumer in quality ,quantity, safety and value(price). Therefore the seller seeks better ways to serve better as clearly seen in the words of Oghuma (a DSTV representative). Just as the consumer seeks better way to be served better. For example seeking better quality, quantity and even better or reasonable price for a good or service most importantly laying complaints and seeking redress for any default in the quality, quantity, safety and price of a purchased good or services. Thus where a consumer is not satisfied or feels shortchanged, he or she is entitled to seek for redress by possible compensation through a regulatory body. BRIIEF HISTORY (general): there existed a rather informal way of providing consumer service which was a more direct for example consumers walking straight to a seller to return or make complaints about some purchased good and giving tips for better service next time, but what happens when the producer is not an artificial person not a corporation sole or where there is a social, economic, structural or geographical gap between a seller/manufacturer and a consumer cannot freely access the seller especially with the internet sale and adoption of the PRODUCER-WHOLESALLER-RETAILER sales chain where the only physical connection to the overall seller or producer is not equipped to manage these complaints e.g. the recharge card seller under a tree, the fuel stations, the supermarket owner (who are but secondary sellers). Purchasers and users of goods and services and the vendor, manufacturer/producer or other person(s) concerned with their production, supply/distribution and sale. E.g. consumer service links, CPC (Consumer Protection Council) etc. More over many consumers were not aware of their rights thus the need to educate them via these institutions and its laws thus the saying The customer is king and is always right. Gained wide acceptance as consumer protection laws were enacted and customers and consumers became more aware of their rights when purchasing goods and services. CONSUMER COMPLAINTS AND REDRESS; CPC: Under sections 6 to 8 Decree No.66 of 1992 of Cap C.25 LFN 2004, a consumer who has suffered a loss, injury or damage as a result of the use or impact of any goods, products or service, may make a complaint in writing or seek redress through the State Committee of the Council. The Committee is empowered to inquire into the complaint and if substantiated and subject to the approval of the Council impose a redress but without prejudice to any other civil remedy the consumer may have. Section 9 provides that any manufacturer or distributor who becomes aware of any unforeseen hazard in its product and fails to inform the public is liable if convicted to a fine of fifty thousand naira (N50,000.00). Under section 10, the Council or any State Committee may request and obtain satisfactory written assurance from any person whose conduct of business has been detrimental to the interest of consumers that such person shall refrain from such conduct. If such person fails to give such assurance or having done so he acts contrary to it, the Council or State Committee, may notify the Federal Attorney-General who may proceed against the offender for violation while sections 11 and 12 gives penalties. A court is by section 13 empowered, on finding such person guilty, to make an order as to compensation for the loss, injury or damage so suffered, as it deems appropriate. -Where a consumer is not satisfied or feels shortchanged, he or she is entitled to seek for redress by possible compensation through a regulatory body. To ameliorate the plight of consumers in Nigeria, the CPC currently runs a radio program tagged Consumer Speaks Radio Network. But beyond that, the CPC should organize town hall meetings and road shows to major markets and cities to educate both the sellers and buyers on their duties and responsibilities. It might also be helpful if they open up more offices nationwide to make their services more accessible to the average Nigerian. In cities like Abuja, phone lines are made available so consumers can call in to lay complaints against producers and providers of goods and services. This is clearly shown where telecoms regulatory agency has provided customers of sevice providers with avenues to lay complaints for under services. More over different manufacture and producers offer customer service lines, email addresses and other social media forums for customers to lay their complaints. Basically, consumer protection laws are laws that are designed to protect consumers by ensuring that consumers have access to accurate information about products and services for sale. – Right to consumer education. -The right to consumer representation and. -The right to a healthy environment. Essentially consumer protection laws are designed to prevent businesses that engage in fraud or specified unfair practices from gaining an advantage over competitors and may provide additional protection for the weak and those unable to take care of themselves. Consumer protection laws are a form of government regulation, which aims at protecting the rights of consumers. Where a consumer is not satisfied or feels shortchanged, he or she is entitled to seek for redress by possible compensation through a regulatory body. According to Pam Clark the business benefits of having good customer service are well documented, even if difficult to measure. But perhaps more important, is the potential downsides of having poor customer service. With the evolution of the internet, negative publicity spreads like never before. It’s no wonder that reputation management is a booming industry for online marketers. But the absolute worst case nightmare scenario for a business is to have their poor service give a customer cause to take legal action. As seen In May of 2007, the then NYS Attorney General sued Dell accusing the company of accusing the company of deceptive, fraudulent, and illegal business practices what quickly followed was a fall in Dell’s good reputation and reigning position as 2 computer seller in the U.S. Dell learned their lesson in customer service the hard way. The government and other public authorities through the instrumentality of the penal or criminal law and process have set out to protect consumers as well. The law of contract emphasis on the quality and status of the goods and services sold or supplied to the consumer thus amounting to a breach of contract if goods or services does not meet up to the express or implied terms which attracts civil remedies such as damages, specific performance etc. see Donogue v. Stevenson. Were a manufacturer was sued for a breach of contract after a consumer drank a beer and found a dead snail inside leading to medical issues. fine of fifty thousand naira (N50,000.00 section 243(1) and (2) respectively punish a supplier who exposes for sale, things unfit for food or drink or adulterates food or drink intended for sale. Section 244 punishes a person who knowingly slaughters or sells any animal intended for the food of man, the whole or any part of the carcass, which has died of any diseases or is diseased when slaughtered. LAW OF TORT: Under the law of tort a producer or manufacturer has a duty of care to his customer or consumer and thus liable if this duty is breached. A proper study of the following cases would give us an understanding of the value of consumer service and rights. â€œIt is the duty of the court in administering the law to lay down rules calculated to prevent fraud to protect persons who are necessarily ignorant of the qualities of a commodity they purchase and to make it the interest of manufacturers and those who sell to furnish the best article that can be supplied. If a man sells an article, he thereby warrants that it is merchantable that is, fit for some purpose. -Osemobor v. Niger Biscuit Co. Ltd 1973 NCLR 382. -Brown v. Cotterill (1934)51 T.L.R. 21. ISSUES Despite this structure set up by the Nigerian government to ensure consumers are protected; Nigerian consumers are among the most exploited in the globe. You talk of consumer exploitation and you think of the maltreatment that Nigerian tenants suffer in the hands of landlords incessant hikes in rents. You have the case epileptic power supply by the Power Holding Company of Nigeria (PHCN) and yet exorbitant bills are at your doorpost even before the month ends. Most products in the marketplace do not meet the standard projected or advertised to consumers. The sales of cigarette as a good to customer without any regulation considering the high level of risk compared to the benefits thereof. In protecting consumer, must they get what they want at all cost even though harmful just for the immediate benefit only to starj a fight against cancer, lungs and kidney failure etc. – MultiChoice strengthens customer care services in Nigeria E.G MultiChoice, provider of premium pay-TV content on DStv and GOtv platforms, has stepped up its consumer engagement drive in Nigeria with its DStv open house initiative. In furtherance of the company’s commitment to enriching lives, the DStv open house will provide consumers with instant access to a range of services, including customer care, subscription payment, self-help channels, technical support and much more. The more uneducated, unenlightened, illiterate and uninformed a consumer is as opposed to an educated and enlightened consumer, the more the likelihood of such a consumer falling victim of imprudent shopping. In an economy that is market oriented where the consumers role (shopping decision) is of paramount importance as the driving force of the market there is therefore the dire need to build a sophisticated consumer. That is to say, without claiming to be exhaustive, a consumer that is educated, enlightened, informed and literate etc. This objective can be achieved through the regulatory role of the numerous government agencies. It is necessary for such agencies each to operate a consumer outreach program. These agencies will engage in the organization of seminars and workshops. Television and Radio enlightenment programs as well as other interactive sessions between consumers and producers. For these enlightenment campaigns to make any significant impact, it must be taken to the grassroots so as to reach all and sundry. Furthermore, through consumer organizations, such enlightenment campaigns can be enhanced. The task of consumer enlightenment cannot be left only to government. Government will have to seriously encourage the formation of consumer organizations. There can be as many consumer organizations as there are consumers of different products and services. Thus, through these organizations, willing consumers will avail themselves of the opportunities to enlighten themselvesâ€in the words of Shankyula Tersoo Samuel in his book;an analysis of the market economy approach to consumer protection. 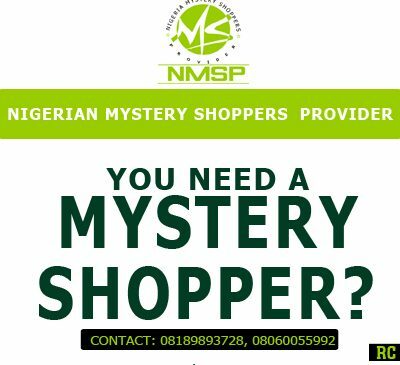 Despite the fair attempts that have been made by these agencies, the truth of the matter still remains that the Nigerian consumer is a long way from being king in the real sense of the word. It has been observed by commentators that although the CPC Act recognizes the rights of consumers, it does not specifically provide for these rights as they are merely implied and subsumed into the functions of the Council and the state committees established by the Act. It is therefore safe to conclude that mere existence of the law is not enough. Specific protective and compensatory measures should be clearly established for any infringement on any of the consumers rights. Doing so would strengthen the CPC Act in Nigeria. Furthermore, the Consumer Protection Council need to embark on sustained sensitization of consumers on their rights and also push for the amendment of specific sections of the CPC Act to give aggrieved consumers unfettered access to courts to pursue their rights.